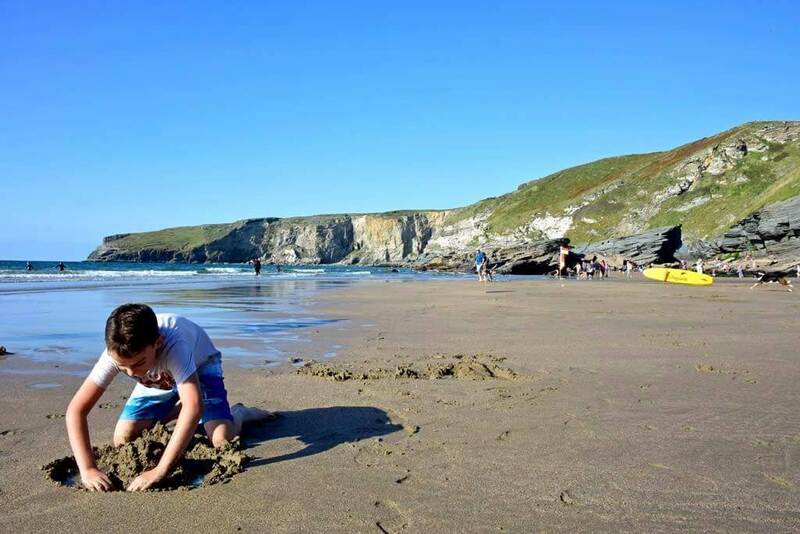 Fabulous Beach Holidays Cornwall in no particular order………..
We love it because it is so ruggedly beautiful. A rocky cove only sandy at low tide. 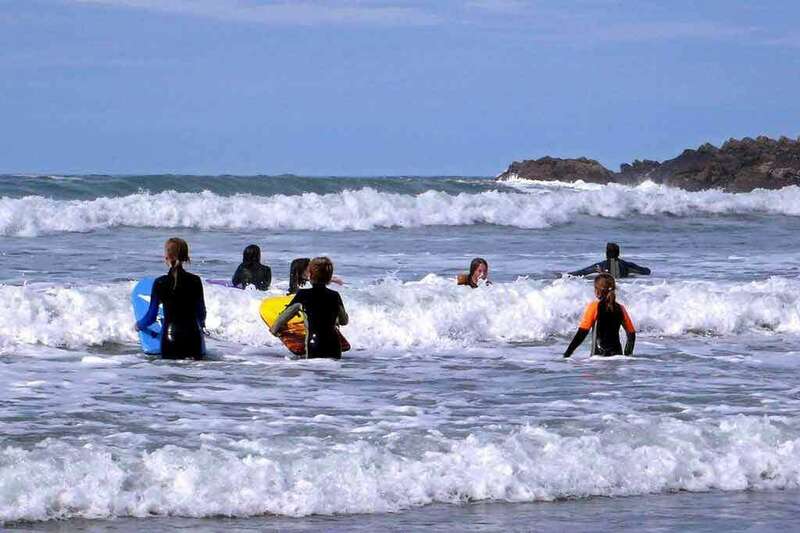 Great rock pools for children and good for surfing. Tea caravan in summer months. 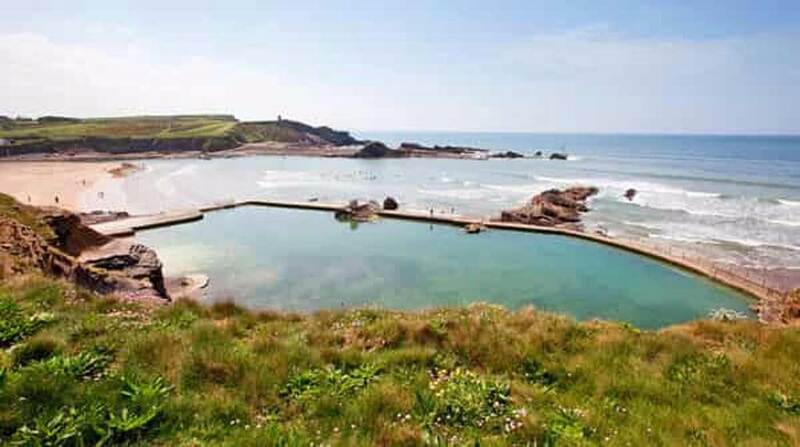 Less than 5 mins walk from Bude centre. Car park leads directly to sand dunes. Popular with families and surfers. 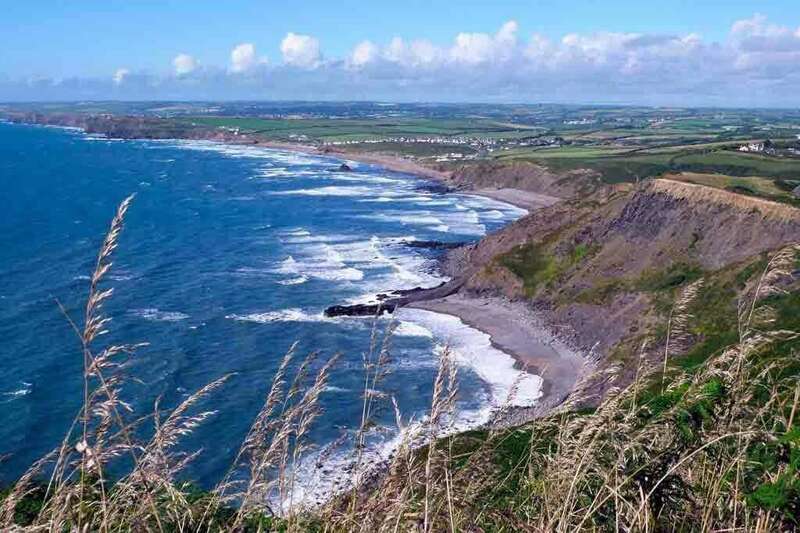 Marine Conservation Society Good Beach Guide Recommended 2014 – excellent water quality When the tide is at its lowest, it is possible to take in the spectacular coastline between Bude and Sandymouth by walking the two miles along the beach. Returning by the coast path makes it a very pleasant, circular walk. Sandymouth is a National Trust beach and has a large, manned, car park with 200 spaces at the top of the cliff. The walk down to the shore leads you through a quite steep and narrow path, with some steps, which makes Sandymouth unsuitable for those who are less mobile. 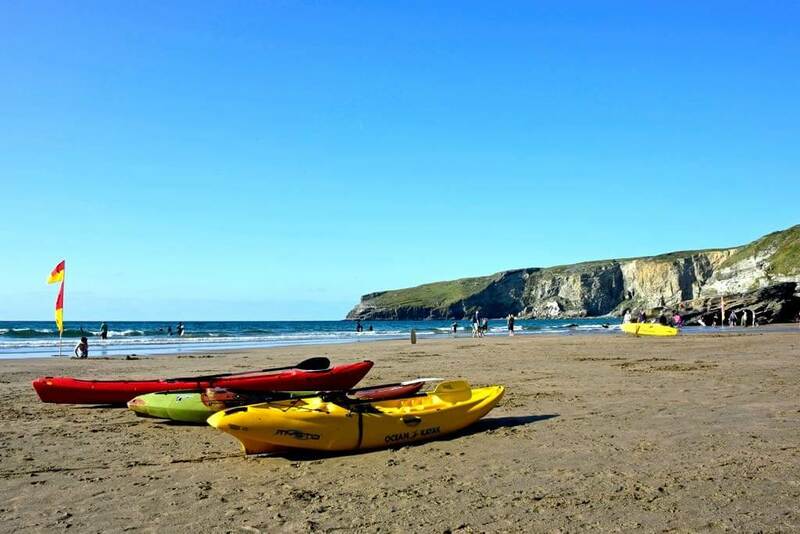 This lovely beach has its own waterfall and is serviced by a seasonal café, toilets and surf-hire. Voted one of the top 20 Best British Beaches by The World Travel Guide. A very long open bay popular with families. Lots of rock pools at low tide. 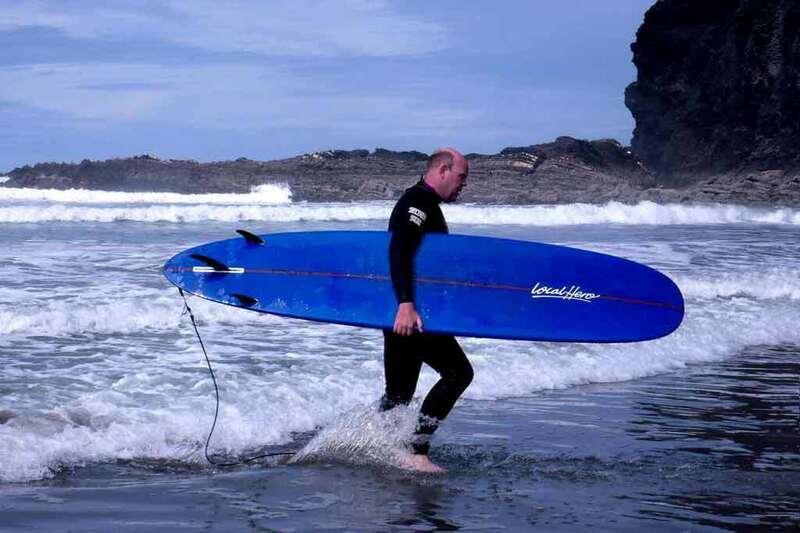 Good for surfers; beginners to experienced. A small unspoiled, cove great for surfing (life guarded during the summer season). A lovely all year round beach, though pebbly at high tide. A café opens during the main holiday seasons. The Port William pub, on the cliff above, has beautiful views out to sea and Gull Rock. Good for sunsets. Access to beach is via a steep ½ mile path and steps from the car park (10min walk). Unsuitable for pushchairs. Bossiney Haven is famous for the Elephant shape cliff formation – see if you can spot it. At the right hand side of the cove there is a large cave about 60 feet high at the entrance but only 15–20 feet wide which opens up into a large cavern with two more caverns which become very dark. The cave continues after this point but the floor becomes rock and very uneven. Proceed with caution and beware are the incoming tide. 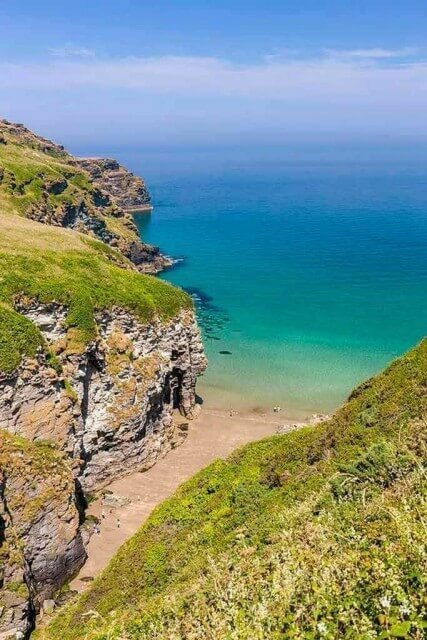 It is one of the quietest sandy beaches in North Cornwall due to its location at the end of a long footpath with a climb down rocks onto the beach, making it inaccessible to many. The sandy beach is completely covered at high tide but a series of small coves becomes one long sandy beach at low tide. The cliffs behind the beach are sheer, high and punctuated with caves and overhangs. A waterfall cascades down the cliffs at the northern end of the beach. 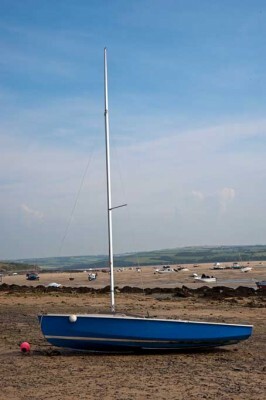 Keep an eye on the incoming tide to avoid getting cut off. Very large sandy beach, gets very busy in the summer, particularly with surfers. To view just the Beach map only, click on the arrow icon (top left of the map) and untick all layers, leaving just the Beaches layer visible.